Yossi says in his town they don't burn the fields, but they definitely do around here. The smoke can drift along heavily for a good kilometer if the wind is right. One of the downsides of living out here. But my balcony faces the clean air of the mountain so I don't worry so much about my laundry. It could be worse. 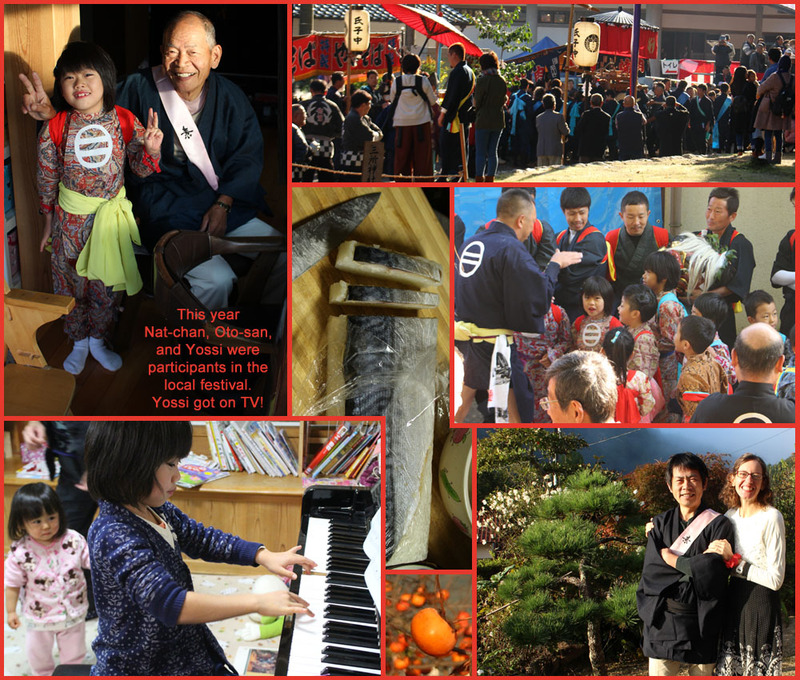 We went to Yossi's hometown's festival. 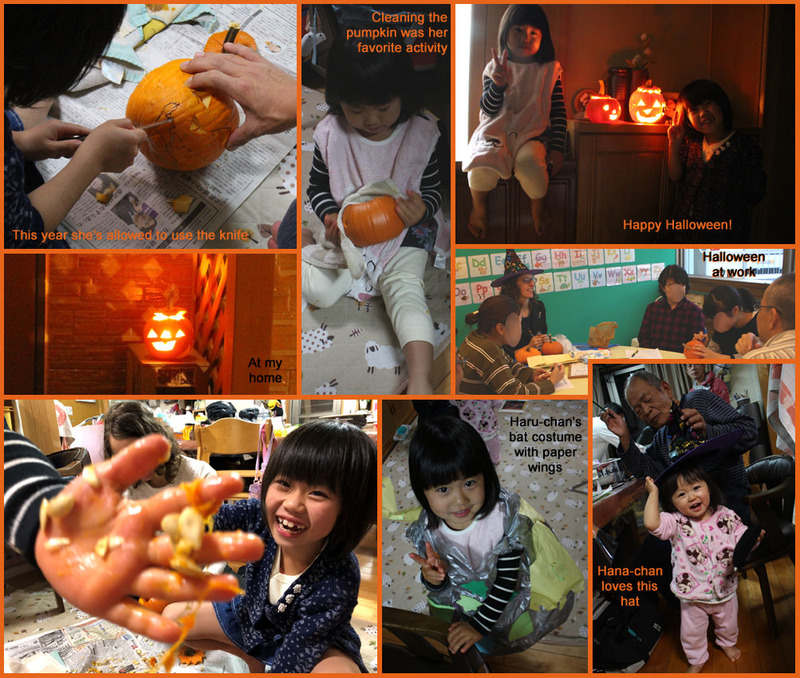 This year everyone participated! There was a lot of bustles as everyone got in to costume. Nat-chan was allowed to wear lipstick. Instead of posing prettily or showing off this new feminine touch, she jumped around the house asking everyone if her blood red lips looked disgusting or not. Everyone said she looked pretty, which wasn't the reaction she wanted. I've hosted two events at work as well, and we've had a couple of work parties. I have to say I really love my new position. I like being needed and I like getting things done. So it's always a good day when I think, "They need me! I'd better hurry in and get things done!" Really, that makes me happy. I think that way of thinking is what led me to be a manager. I'm contented now just being useful to other managers. When I can make sales and prove my usefulness, I go home satisfied. The mountain near my home, Tsuneyama, is much much more interesting than I anticipated. It turns out there used to be a castle on it and many battles were waged there. I'd love to clean it up and become a Tsuneyama tour guide! I'll see what I can do. Anyway, our guest room is set up so anyone's free to come over and stay with us. We have access to Naoshima, Takamatsu, Shodoshima, and some other islands. Okayama, Kurashiki, and Kojima are not far and have various points of sightseeing interest and Japanese culture.